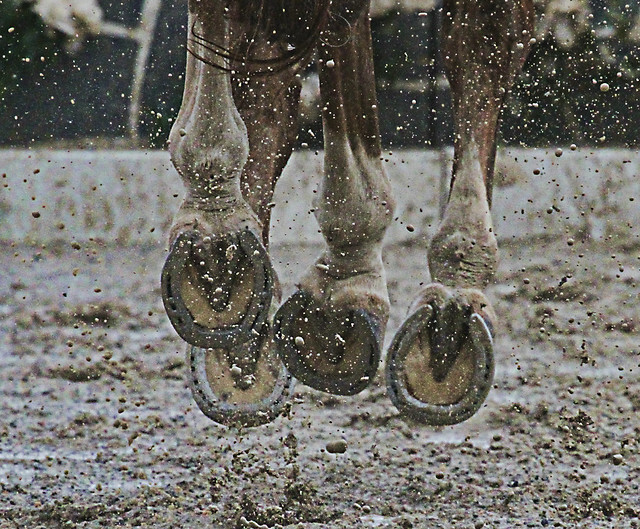 Being on the track, in the mud, sometimes just means doing that thing you know you're supposed to do. Stop questioning. Stop philosophizing. Stop looking around. Set your face forward in the flying muck...and run! When you're in the mud, you're on the track and you're in the race. I've been thinking about Ronnie Turcotte, Secretariat's jockey. Yes, Secretariat is considered the greatest racehorse of all time, but he had this habit of starting back and then overtaking the field. The movie shows this very graphically with Turcotte's mud-covered clothes at the end of each race (except the last one). So, he's jockeying the greatest racehorse of all time, and what it looks like from his vantage point is a cloud of mud through which he has to navigate at every race. It's a mess. It's filthy. Possibly demoralizing. I've certainly entered the mud zone with the book project. I haven't blogged as much. I haven't chatted as much on social media. Speaking gigs are on hold. It's time to finish. I hope to have the final edited manuscript reviewed and returned for print in just a few days. I've heard about the writer's cave, where you go in and don't come out for weeks. It feels a bit like that. Funny how the mind wants to wander when it knows it can't. I want to travel. I want to take a long weekend in Kenora and hang out in the harbor on Lake of the Woods. I want to read book after book. I want to create. I want to exercise. I want to write songs. I want to crank my stereo. But for now, I stay in the mud. Have you seen the Man in the Arena quote? I saw this on Facebook this week. Seemed muddy. So maybe, if you and I are feeling a bit weary, dirty, even down...maybe it's because we're doing exactly what we should. Once again, all Big Red! Every day has been high energy and I'm still blessed and thankful for great health! My weight-loss journey is basically done. I'm down 78 pounds in 17 weeks and have just 5 to go. I'm at my goal size for clothes. I've ditched an entire wardrobe and have replaced the basics. It's pretty crazy! And my lab results...wow! Cholesterol, triglycerides, glucose: they're not just good, they're way good! All of those concerns are erased. Thankful! If I'm going to be slugging through the mud of my life goals, I'm glad I'm doing it healthy! Oh, by the way, I'm down 100 pounds even since January 2010. Goal for August: finish up the last 5 pounds and begin a lifetime of maintaining good health. We bumped the book launch back about a month so we could be certain printed books and ebooks would be available for the tour. 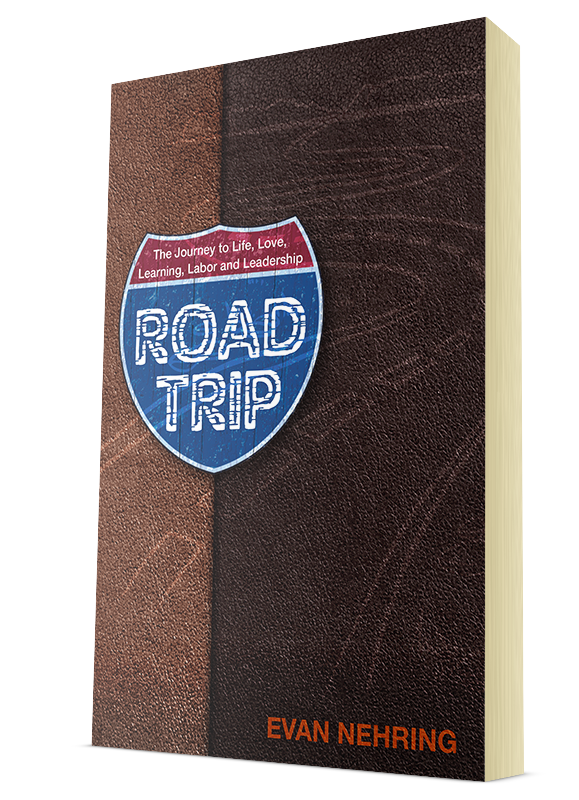 77 days now until the book launch party and the Road Trip Road Trip. I confirmed with Pastor Charlie Salamone this morning that the book launch party will be downtown Wausau at the Downtown Mission Church...the Fillmor Theater! It's a perfect location and reflects my heart for real people and for the Body of Christ. Yes, pre-orders are available. Just click here. Although Amazon doesn't state it, these pre-order books will be shipped with a code for the free e-book as well. As I mentioned above, I have some nose in the books details I need to polish off to get this book off to the printers. I'm so determined not to compromise the quality by getting weak on details in these final days. It's going to be special. Pursue networking and marketing more energetically. More planning for the road trip road trip. The stone patio is really coming along. We made the tough decision to back track some to take out some of the natural curve of the yard. We won't regret it but it feels like we've moved a football field of topsoil! We can see the finish line. Fill gaps and plant grass seed. Have coffee on the new patio! If it's a lot of work, that's okay. Are you in the mud these days? Do you actually wish you were? Hmmm...what can you do about that today?